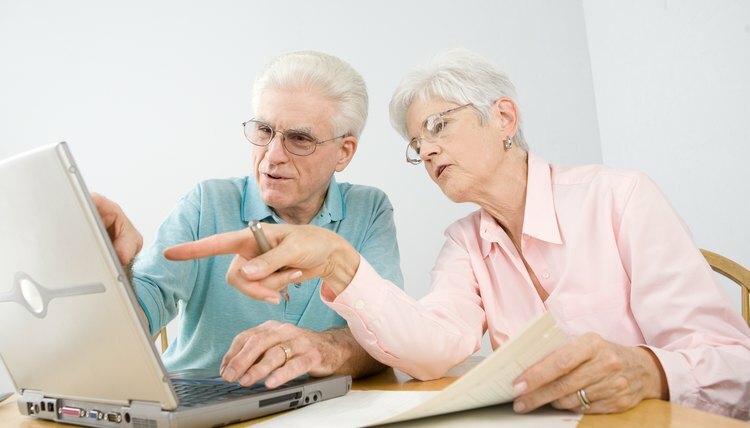 A living trust is a popular estate planning tool. The person who creates the trust, the "grantor," transfers ownership of assets to the trust. The grantor retains the power to revoke the trust during his lifetime and is usually named as the trustee. As trustee, the grantor retains control over the assets in the trust. Upon his death, the assets are distributed to the beneficiaries named in the trust. Living trusts usually do not need a taxpayer identification number because trust income is reported on the grantor’s individual federal income tax return. However, a taxpayer identification number, also called an employer identification number, may be needed under certain circumstances. Determine if a taxpayer identification number is required. Generally, a federal taxpayer identification number is not required. However, in a few specific circumstances, it might be -- for example, if you're incapacitated or the government requires it in order for you to qualify for certain benefits. If you're in doubt about whether you need one, consult a legal professional. Locate the Employer Identification Number application on the Internal Revenue Service website by clicking the "Businesses" tab at the top of the page. Then select the "Small Business/Self-Employed" tab. Select "Employer ID Numbers," and then select "Apply for an EIN Online." On the next page, select "Apply Online Now" to access the application. The online application is only available Monday through Friday, from 6:00 a.m. to 12:30 a.m. Eastern time, and Saturday, from 6:00 a.m. to 9:00 p.m. Eastern time. Begin by identifying the legal structure as a trust by clicking on the button next to the word "trust." Click on the "Trust (all others)" option when asked to identify the type of trust. Click "Continue" to confirm your selection. Complete the balance of the application by providing the name and address of the trustee, as well as all other information requested, including the date the trust was funded. Confirm the method by which you wish to receive the taxpayer identification number. The identification number will be sent to the applicant by regular mail or online, depending on the method you choose at the end of the online application. Online numbers are issued in a matter of minutes. Law Offices of James A. Miller: Do You Need an EIN for Your Revocable Living Trust? In California, the main document needed to form a limited liability company is called the articles of organization. If you change the name of your LLC, you must notify the state by filing an amendment to the articles of organization within 30 days of the change. The required form for making an amendment to LLC filings is available online. A living trust is a common document in estate planning that provides for an orderly transfer of property without having to go through the time and expense of probate court. One important aspect of the living trust is naming a successor trustee – the person who will be responsible for transferring the trust assets when the person who made the trust dies. If you are named as a successor trustee, you must perform the task of taking title to the trust assets and ensuring that the property is properly distributed to the trust beneficiaries. This task requires knowing how to sign trust-related documents.